The hatch was closed and there was no going back now. We were given an informal tour of the ship by Captain [DELETED]. 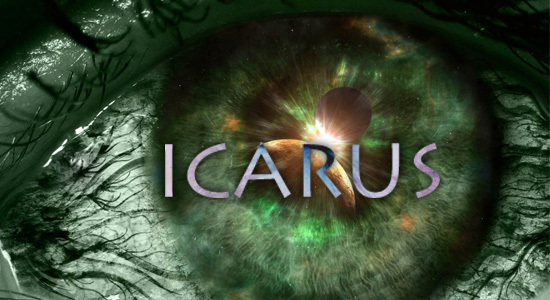 The Icarus is much smaller than it looks from the outside. You’d think half a kilometer of ship would afford you a little breathing space but almost everything is taken up by sensor equipment and other scientific apparatus. The docking hatch is mid-way along the Icarus’s hull, so we worked backwards and then forwards again. We toured the Science labs first. The hallways are just wide enough for two people to walk side by side and the ceilings are claustrophobic at just six foot, five inches high. Doctor [DELETED] informed me that this was to promote the crew sitting rather than standing, as the artificial gravity has negative effects on the spine if one remains vertical too long. The labs themselves are alien planets to me, full of beeping equipment and suspensions for samples. Some of the sensor data is fed into this area as well, so any new planets we discover can be analyzed. It’s all very white and sterile and smelling of new metal and plastic. The eggheads were simply giddy. [DELETED] and I share an office just across the hall from the laboratory. We each have a computer terminal with access to the light-band in order to beam our stories back to Earth. It’s only worth doing so until we reach Alpha Centauri since after that, it will take the beams longer to reach Earth than we will. Moving aft of the Science Department is Engineering which allows access to both the Icarus’s standard drive and the Time-Vortex insertion drive via insulated tunnels. This area of the ship was a little more open than the previous, with ceilings reaching a stunning seven feet. The hallways are big enough you can walk two abreast and allow someone to pass between you, sideways. Beyond that is Recreation and our quarters. A marvel of starship design, it has absolutely no artificial gravity and is instead a continually rotating cylinder. I hadn’t seen it from the outside as the entire habitat is shielded on all sides by a coffin of ablative hull. The ceilings here are so high I can reach a hand up and still not brush my fingers across it. I vowed I’d never leave. This entry was posted in Icarus, Original Fiction, Science Fiction and tagged Alpha Centauri, blog fiction, Icarus, Luna, Michael Lee, NASA, Science Fiction, SciFi, space, Time-Vortex, William Shriver. Bookmark the permalink.